If you follow Layers of Love on facebook you might remember we posted a link from our local paper of a photograph back in December of a group of women from St. Matthew’s UCC located in Kunkletown, Pennsylvania. The Secret Sisters from St. Matthew’s UCC held their annual Christmas party, where they revealed their secret identities, and through donations they purchased fleece material, and at their party they put their blankets together to donate to Layers of Love. As many of you are aware it was a very rough winter here in Pennsylvania, we had a LOT of snow. I tried to connect a few times with the event’s co- organizer Diane Huber, though we had valiant efforts to get together the weather had other ideas. However, we finally got to connect at St. Matthew’s UCC and I got to meet a lot of the wonderful women who donated not only material, but their time and talent to make beautiful fleece blankets for chemotherapy patients. The Secret Sisters of St. Matthew's UCC blanket donations. 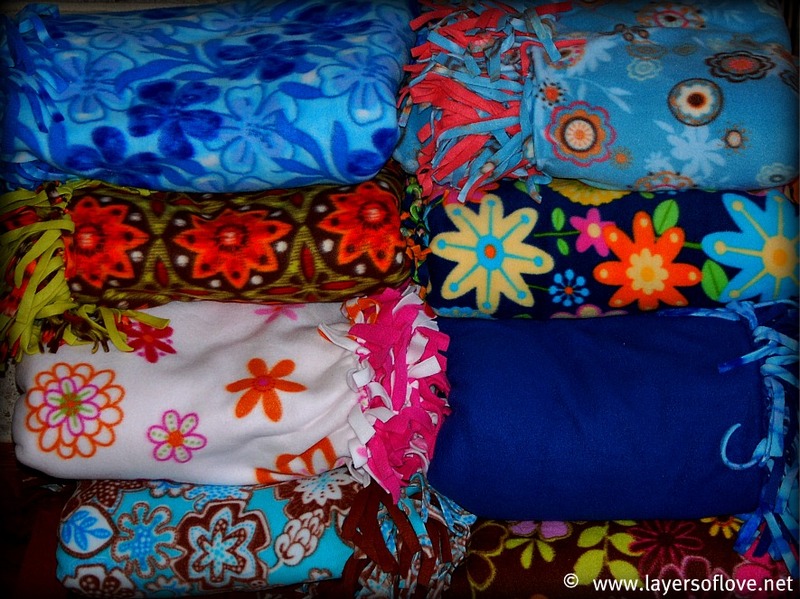 The blankets are beautiful, I had a wonderful time meeting the Secret Sisters of St. Matthew’s UCC and I am very grateful for their BIG hearts, and their wonderful donation. With their help, we are now able to provide comfort and warmth to even more cancer patients are they go through their chemotherapy treatment. Thank you! This entry was posted in Donations and tagged beautiful, blankets, chemotherapy, Donations, fleece, patients, wonderful. Bookmark the permalink.